Francesco Monti, professionally known as Francois, was born the 15th December 1980 in Rome (italy). He moves his first steps as a Dj at the age of 12, playing at home party with friends and events in the area of Rome. At the age of 15 begins to play in different Clubs of the area, especially on the occasion of parties organized for teenagers on Sunday afternoons. 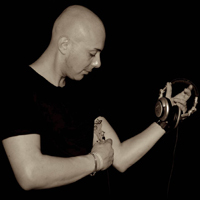 In 2000 decides to expand his professional experience working in clubs and organization in the whole Italy: Insomnia (Pisa) , Metropolis (Napoli), Angels od Love (Napoli), Diabolika (Roma), Alibi (Roma), RedZone (Prato) In 2004 makes the opening party of the "Pacha" of Sharm El Sheik (Egypt and gives his international experience the go ahead. In 2006 moves to the Balearic Islands (Spain), where still now he collaborates with different clubs and organizations. During his carrier he take part in important console, such as the one of Amnesia (Ibiza). Special collaboration with important international DJ like: Stefano Noferini, Claudio Coccoluto, Emaunuele Inglese, Paolo Bolognesi, Roger Sanchez, Carl Cox, Wally Lopez, and... many other. The type of music that characterize Francois is the House Music, with stylistic undertones coming from his derived genres: Club, Seep, Tech and Minimal. In the last period he goes in for production of Tech House, Deep House and Techno.